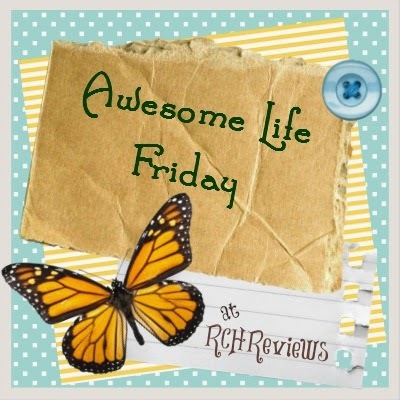 This week's topic was: List your daily routine and my fist thought was.... what daily routine?! Don't get me wrong we TRY to keep a daily routine but honestly our days vary so much that I pretty much have given up all hope. I keep thinking things we'll settle down and we'll fall back into a nice routine but the truth is our calendar is pretty packed for the whole month of October. So in listing our daily routine I decided to just focus on those days we plan to stay home-- like Monday. 6:30 am- I wake up and wake my husband for work. Within 10- 15 minutes all of the boys are usually up too. 8:00- I call out that it's 8:00 and remind the boys it's time to eat breakfast (if they haven't done that yet). I have no idea where that time goes between 7:30 & 8; I think the clock just skips that half hour. Usually we all eat around the same time and I'll read two chapters aloud from our current book. 9:00- 11:00- The boys get dressed, brush teeth, make beds and work on their schoolwork at the table. I try to stay in the kitchen and be nearby in case they need help but I am usually unloading the dishwasher, starting a load of laundry and getting dinner prep out of the way. None of the boys sit at the table for two hours strait and there are times when the whole kitchen is cleared out and that's when I'll run upstairs get myself dressed, brush my teeth and make my bed. Usually the boys only have three or 4 subjects tops that require writing or sitting at the table. In between subjects they'll move around or take small breaks to play with toys. Ian often goes outside to play in the dirt and sand with his trucks. By 11 we are almost always done all of our "school" work for the day; leaving plenty of time for other fun stuff like art projects, science experiments, board games, puzzles and movies. 12:00- Lunchtime is usually pretty set in stone with my group and we are almost always eating by noon. If the boys ask I'll read another few chapters at lunch or else we'll read a geography or history book together. 12:30- We'll work together to each clean at least one room of the house. 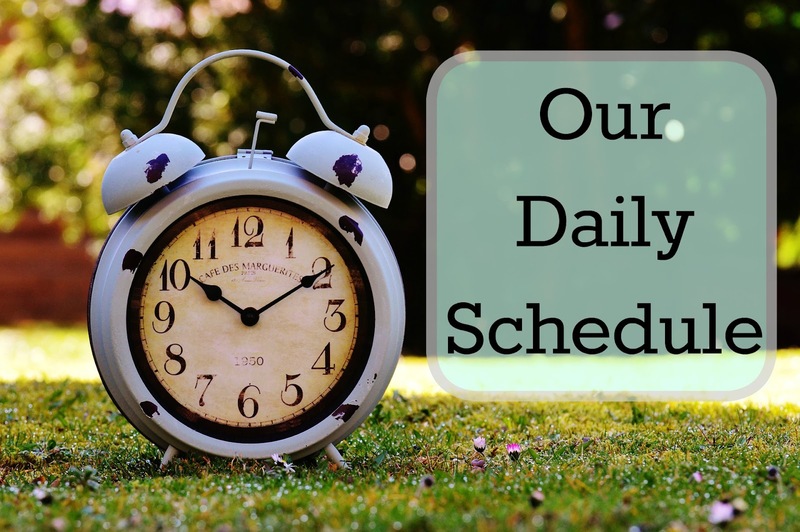 We try to do this a few times a week so that the house is all cleaned by the end of the week but if we have field trips or we're meeting up with friends we might skip it and double up on cleaning another day. 1:00-4:00 We have open time. The boys might play outside or we'll run errands. We might have a family project going or we might all exercise together. Sometimes the boys spend time in their rooms reading and playing with Lego's. We all pretty much fill these hours however we want; my only rule is that they can not play anything that requires looking at a screen (unless it's school related and they have my approval). 4:00- The boys turn on the Xbox and TV and I start getting dinner going... well, more accurately I start THINKING about getting dinner going. I'll usually unload the dishwasher again, make sure the laundry is finished up, check in with Facebook, e-mails and log a few thoughts on my blog. 5:00- I start cooking dinner, Alec sets the table and one of the boys is most likely getting called into the kitchen to help cook. They take turns helping out in the kitchen. 5:30- My husband comes home from work and we all sit down to eat dinner together. 6:00- We finish up dinner and Evan clears. Alec will wash the table. Ian takes out the trash and sweeps the floor. If the floor is particularly dirty Evan will do a quick washing with a mop. 6:30- 8:30-- Chores are done and the kitchen is all cleaned up. The boys occupy their hours between dinner and bed in a variety of ways; sometimes we get a family board game going like Monopoly, sometimes the boys all play ping pong with my husband. Sometimes the boys get their dad to play video games with them. Sometimes the boys watch movies while my husband and I watch TV in our room and fold clothes. Sometime we'll go get groceries or head out to visit some family members. 8:30- The boys get ready for bed and we say goodnight to them. They can stay up and read in their room for another 30 minutes but usually they fall asleep pretty quickly; especially if it was a day we decided to go hiking or bike riding in the afternoon after school. 9:00- Usually by 9 the latest I am in bed and I rarely stay awake past 10. I'll often read in bed or watch TV. it feels like we don't have much of a routine either, but I guess some things - like my morning coffee! - really are routine! Yeah there are a few parts of my day I try to never deviate from! I like that you have a "structure" to your day but it's so flexible that you can do fun things like going biking or hiking or spend an afternoon shopping. I feel like that's how our days go in my house too. Thank you. It's taken us a long time to find our rhythm! A flexible rhythm of routine! I wish I could wake up easily by 6:30am. I'm quite the grump in the early hours--Ha!